I first saw this Video posted elsewhere. I don’t buy that argument. After watching this video, I am flummoxed. How can people who are supposedly intelligent beings get involved in such a foolish, unavailing and ignominious enterprise? Don’t people understand that davening with a sign such as these at the back of a shule only conjures up images of absurd behaviour? Why would anyone want to be under a banner that conjures anything remotely like the video above? I know that at Yeshiva College in Melbourne, it is very much hip and trendy for boys to travel to 770 for Tishrei for inspiration; I sure hope the school also has a policy that no boy is permitted attend such circuses or derive “inspiration” therefrom. There is at least one teacher in the School who proudly wears a yarmulke with yechi emblazoned in vibrant living lettering. The Lubavitcher Rebbe ז’ל did not deserve demeaning and vacuous chassidim besmirching his holy memory. This bevaviour is an utter disgrace and is the result of a perversion of the Rebbe’s zy’a teachings. The people behind this abomination need to be placed in Cherem. These young misled fanatics mindlessly follow their leaders including a recently (mis)appointed rabbi. 770 has been hijacked by messianic madness which has no connect with Chabad Lubavitch. Unforunately, they cannot be expelled because of their violence. Rabbi Pichos this is Ellis Kahn from Sydney. It has been a while. Can you please contact me as I have some news for you. 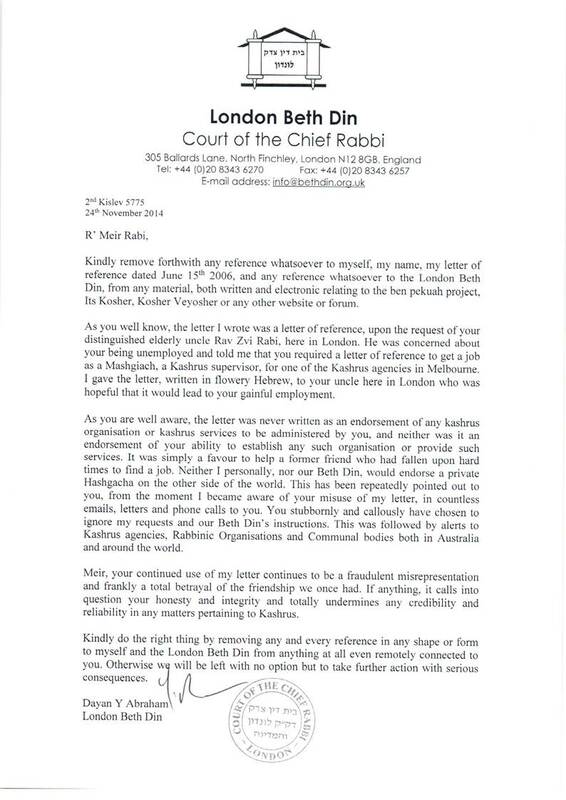 Oh why Oh why did you feel the need rabbi woolstone to mix in unneccessary and irrelevant information with regards to an unrelated Machloikes which plaques our (your) community. (namely the new rov controversy). Yisroel, the video was of 770 where I now live. Further the Rabbis concerned supports, at least tacitly, the messianic antics therein.